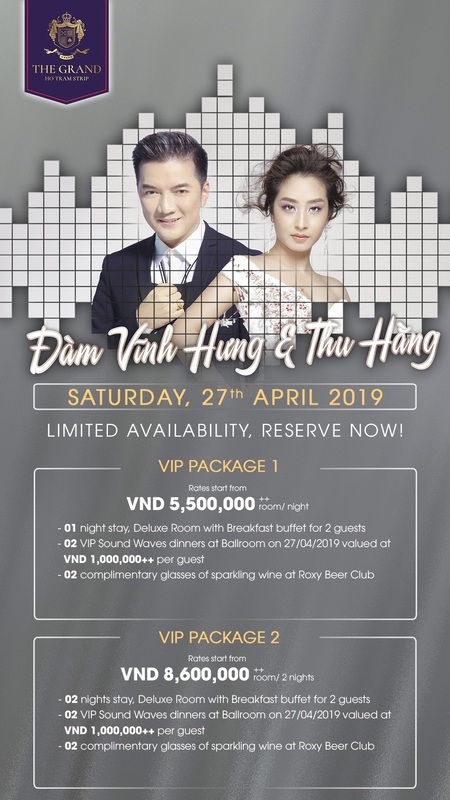 Welcome the year of all good fortunes with your family and friend at the Grand Ho Tram Strip and enjoy our special festive deal starting from 2,019,000 VND++/room/ night including Buffet breakfast for 2 guests. Beach & Pool Day Pass at The Grand Ho Tram Strip, every Sunday till Thursday from 6am to 7pm, why not? Let’s your romance begin here! With a stunning romantic dinner setting at the Cabana, make your date unforgettable with us. Discover special prices for The Spa’s membership exclusively.